Visitors can follow Woodward’s history from the early days until now at this jewel. From the murals on the outside to the walk through history, visitors are touched by something each time they enter the museum’s doors. 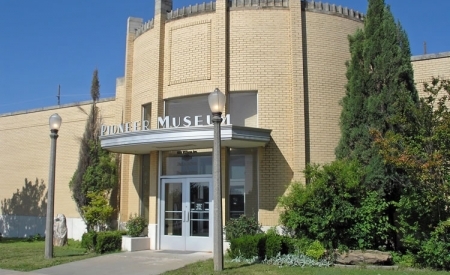 The Plains Indians and Pioneers Museum features: frontier town vignettes, American Indian exhibits feature prehistory information, Cheyenne and Arapaho Nations, as well as the Battle of the Washita of 1868. Colorful murals in museum's rotunda depict lifestyle of northwest Oklahoma American Indians in the 1800's. 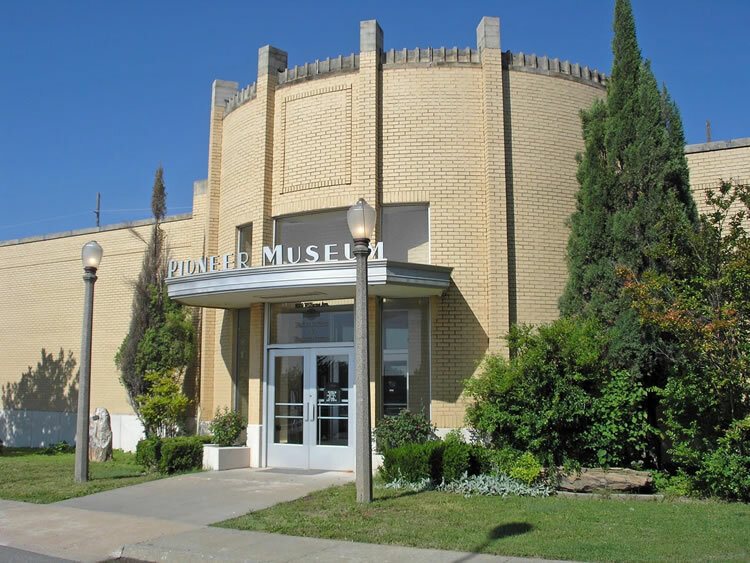 The Plains Indians and Pioneers Museum’s dedication to collecting, preserving, and exhibiting the history of northwest Oklahoma is apparent and is a visitor’s must-see. The Plains Indians and Pioneers Museum features a permanent collection includes personal artifacts our frontier town’s most famous son, lawyer & gunfighter Temple Houston, the son of Sam Houston. Notably, Houston’s famous courtroom plea, “The Soiled Dove Plea” in defense of a “fallen woman,” has been upheld by the Harvard Law Review and other legal publications as the perfect closing argument. The Museum recently added to the Temple Houston Collection with the gun Houston used in a notorious shoot-out with Ed Jennings. The Museum is also the site of art exhibits and historical programming throughout the year. The Museum serves as Woodward’s Visitors’ Center providing tourism information and assistance to area visitors. The Museum’s Gift Shop has Oklahoma-themed items available for sale. In words and pictures, Oklahoma Courthouse Legends spins yarns about Oklahoma’s 77 county courthouses. David Fitzgerald’s photographs and Kent F. Frates’ essays capture Oklahoma’s turbulent history with tales of outlaws, lawyers, judges and colorful historical characters. The essay on Woodward County deals with the notorious life of lawyer, gunslinger, Temple Houston and features a photograph of Ian Swart, the curator of the Plains Indians & Pioneers Museum holding Houston’s 1883 .45 Colt revolver. The pistol along with other Houston memorabilia can be seen at the museum. The book may be purchased online at www.courthouselegends.com.